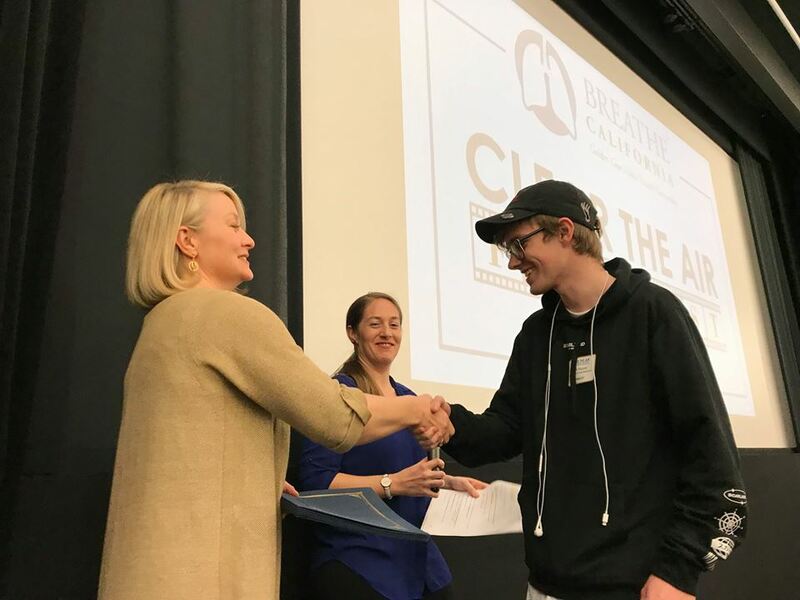 Three groups of San Francisco Unified School District (SFUSD) students that made videos about the harmful effects of vaping took home a prize from the Breathe California's Clear The Air Film Festival last month. Now in its eighth year, the festival “strives to inspire young people to be a voice for their community and lend their unique perspectives to important lung and environmental health issues, using film as a medium for change” and received dozens of submissions. On March 16, 22 finalist films were screened at the New People Cinema in San Francisco and students walked the red carpet after receiving their awards. Third Place and $100 Prize: "Here Are a Few Facts About Vape"
We join in congratulating these students and their advisers/teachers!